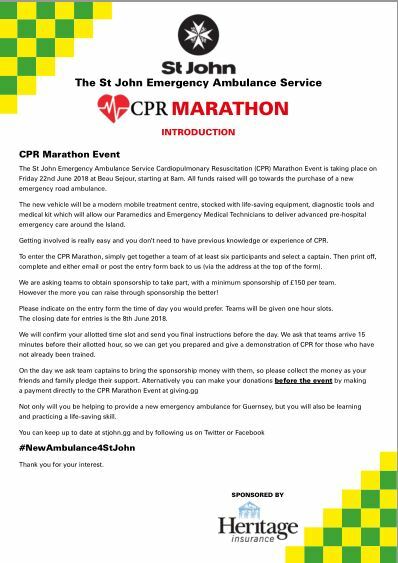 The St John Emergency Ambulance Service is holding a CPR marathon on Friday 22nd June to raise funds for a new emergency ambulance. The event will take place at Beau Sejour starting at 8am. 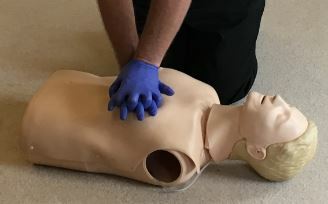 Islanders, businesses, clubs and organisations are invited to put together a team of at least six people to perform CPR on a manikin for one hour, as part of a relay within the marathon event. 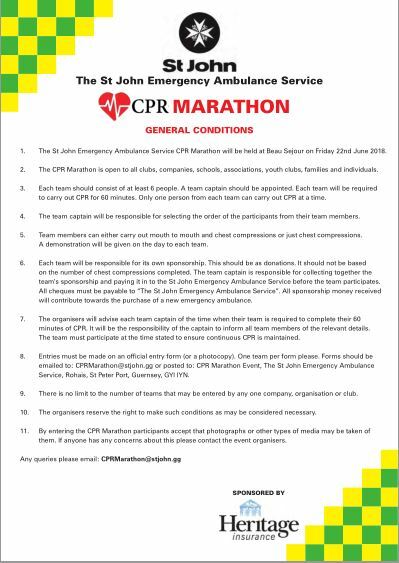 Participants do not need to have previous knowledge or experience of CPR as a demonstration will be given to each team on the day. 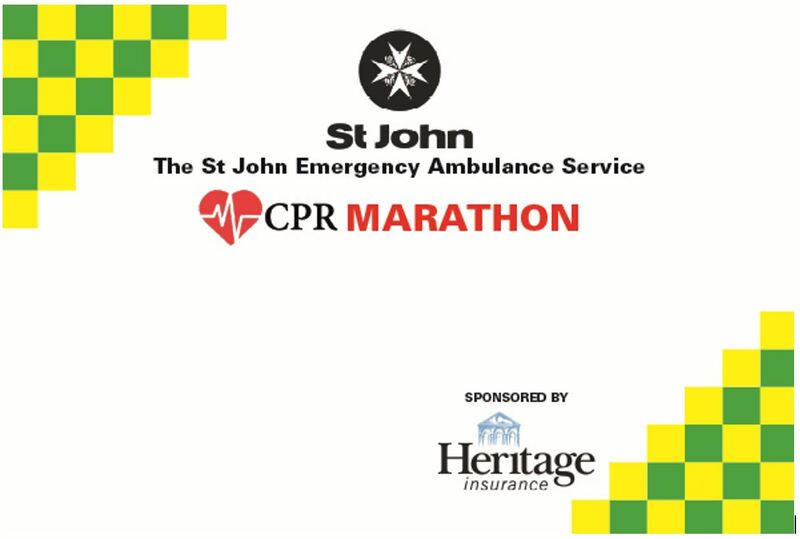 The St John Emergency Ambulance Service CPR Marathon, which is being sponsored by Heritage Insurance, will not only raise funds for the new emergency ambulance, but also teach islanders this vital life-saving skill. 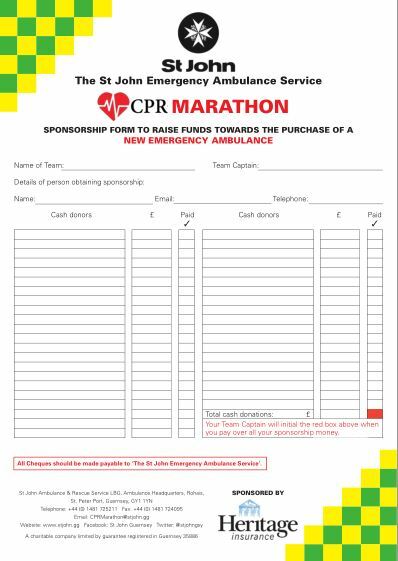 The new emergency ambulance will replace the oldest vehicle in our fleet and will be a modern treatment centre, stocked with life-saving equipment, diagnostic tools and medical kits which will allow Paramedics and Emergency Medical Technicians to deliver advanced pre-hospital emergency care.